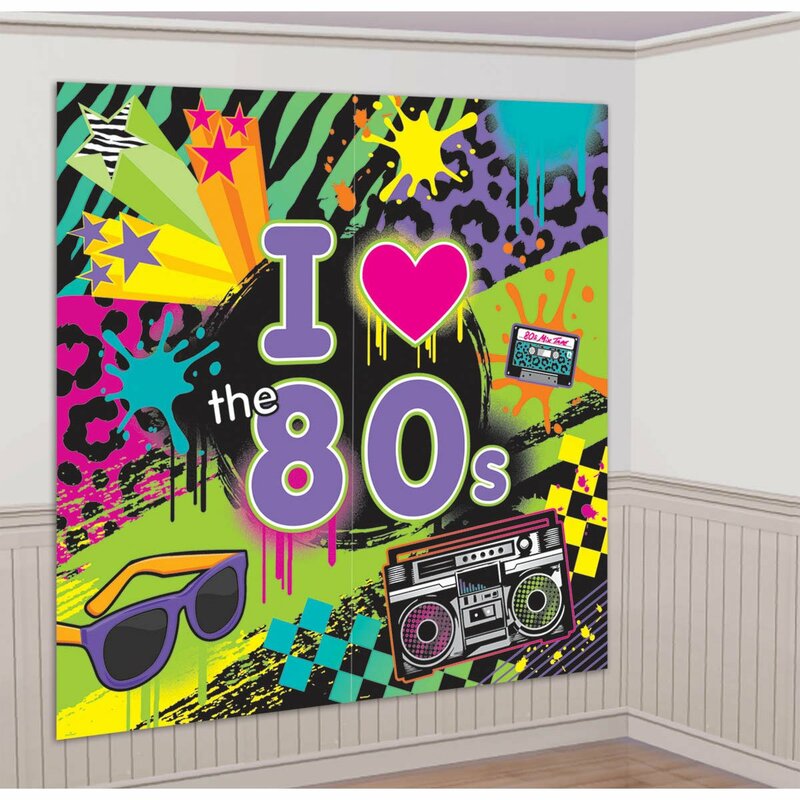 Home › Home and Kitchen › Amscan Awesome 80's Party Wall Scene Setter Decorating Kit (2 Piece) Multi Co..
Amscan Awesome 80's Party Wall Scene Setter Decorating Kit (2 Piece) Multi Co..
Amscan Awesome 80's Party Wall Scene Setter Decorating Kit (2 Piece), Multi Color, 14.5 x 10"
Size: 14.5 x 10" This 80's Scene Setters Wall Decorating Kit includes two pieces of printedsheets that will form a giant wall of cool. With its cool neon coloredpatterns and paint splatter, boom box, and other retro images, you'll be readyto face the cameras for photos. Get ready because your next event will be thecoolest of them all.